 Ireland’s leading broadband providers advertise speeds of 100 Mbps, 360 Mbps and even 1,000 Mbps in some cases. But there’s a catch! These advertised speeds only refer to the maximum speed possible with your plan, they are by no means a guarantee. In fact, in many cases, the speed you actually get will be much slower than what you might expect. If you aren’t happy with the speed you’re getting at the price you’re paying, you can compare broadband providers and switch to a better deal today. It’s always useful to be able to test the speed of your broadband connection, especially if you feel like it is under-performing. The good news, testing your broadband speed connection is really easy to do! Simply click the button labelled “Go”. A broadband speed test will be performed and give your a live reading of your current download speed. You can then compare that reading against the speeds that you should be getting. The most important result from your broadband speed test is ‘download speed’ Your download speed is the rate at which your device is able to access content from the internet. Tell us your preferences about broadband and we’ll find the right deal for you! Your upload speed measures the rate at which you are able to add content to the internet or send messages, pictures and videos to others. Upload speeds tend to be much slower than download speeds since most of us do much more uploading that downloading. So don’t worry if your download and upload speeds are vastly different. Ping, which is measured in milliseconds, indicates how quickly your connection can respond to a request. The lower your ping, the faster your internet connection is at responding to the actions you ask it to take. Jitter is a bit like Ping, in that it is measured in milliseconds and refers to the responsiveness of your connection. The lower your Jitter, the more consistently reliable your broadband connection is likely to be. When it comes to broadband speed, it’s often the case that we feel like we need to have the fastest speeds available to cope with our day-to-day usage - but how fast does your connection really need to be? The answer depends on two factors, how many devices are using the connection and what kinds of tasks you’ll be undertaking with the connection. As a rough guide; a household using 1-2 devices to browse the web, use email, social media and stream a moderate amount of video will need a connection of up to around 25 Mb/s. How can I compare broadband speeds from one provider to another? To compare the latest broadband offers from major Irish providers like eir, Pure Telecom, Sky, Virgin Media and Vodafone, simply visit the broadband providers page on bonkers.ie. From there you can view a complete list of the top speeds available across Ireland. For a more tailored set of results, you can add your address to see the top broadband speeds available at your specific address. Why am I not getting the broadband speeds I signed up for? Let’s say, for example, you’ve signed up for a broadband deal that has been advertised at a 100Mbps but when you run a speed test, you’re only getting speeds of 20Mb/s. It’s important to remember that 100Mbps refers to the potential top speed offered by the connection and there is no minimum speed guarantee. There are a number of things you can do to give your internet connection a boost. Reposition your router - moving your router into the direct line of sight of your device will help maximise your speed. Don’t leave your router tucked away in a corner, behind an armchair or a thick wall - this will interfere with your signal. Turn your router off and on again - switching your router off for about 30 seconds and then turning it back on can really help improve your speed. When you turn it back on, it will search for the fastest channel available at that moment. Remove obstacles from your the vicinity of your router - items like baby monitors and microwaves can interfere with your broadband signal. Removing these from the same room as your router can help you to improve your broadband speed. Update your browser - whatever your browser of choice is, make sure you’re using the latest version. Downloading the latest browser updates can help you maximise your connection’s speed. Install anti-virus software - if your device gets infected with malware, you will likely see a decline in performance speed. By installing anti-virus software, you can protect your laptop or tablet against an infection and keep your speed in top form. Password-protect your network - if you have home WiFi, make sure that your network connection is protected by a strong password (“password” and “1234” are to be avoided!). If you don’t have a password, your neighbours can jump on your WiFi connection without you knowing and slow everything down. Switch providers - often the best way to significantly increase your connection speed is to switch to a different broadband provider, with a higher speed capability. For a more complete guide, check out 13 tips to speed up your broadband connection. broadbandspeedtest.ie is a trading style of Bonkers Money Ltd. registered office Nutley Building, Nutley Lane, Dublin 4, Ireland. Registered in Ireland, company number 477742. Our logo and the word bonkers® are registered trademarks of Bonkers Money Limited and may not be used or reproduced without prior written permission. © 2010-2019 Bonkers Money Ltd. All rights reserved. bonkers.ie is a trading style of Bonkers Money Limited registered office Nutley Building, Nutley Lane, Dublin 4, Ireland. Registered in Ireland, company number 477742.